As the Curiosity rover crawls its way across the Martian surface, it has to deal with a team of over 20 people to decide its every move. That makes riding in the car with an annoying navigator seem like a luxury. NASA teaches its engineers how to “drive” the Curiosity rover in the “Mars yard” at its Jet Propulsion Laboratory in Pasadena, California. It’s the home of a nearly-identical twin of Curiosity, the only differences being the Earthling doesn’t require a plutonium heart for power, and some key components, like the wheels, are made of thicker materials to account for the gravity gap between the two planets. The most interesting revelation in this video from Tom Scott is the fact that it takes a team of 20 people who are certified to “drive” the Curiosity rover, with a communication delay of between four and 24 minutes from here to Mars. The 20 different drivers each operate on their own comfort levels, with certain engineers to take over for different terrains and situations. 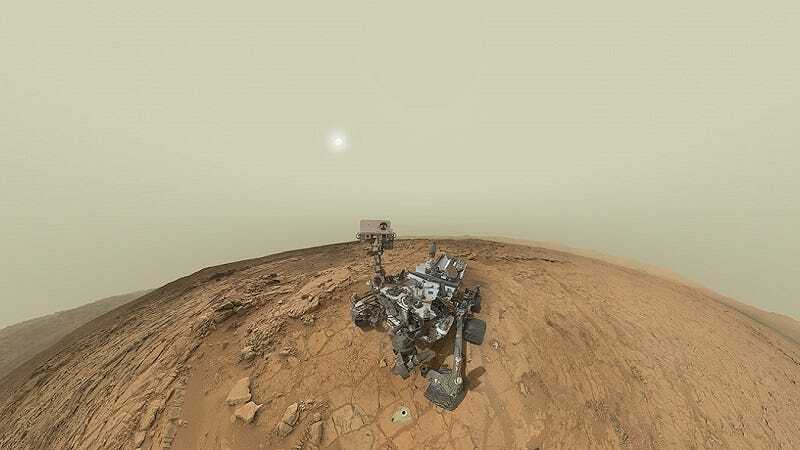 You don’t drive the Curiosity with a joystick and live feed, either. Instead, the whole operation is more like sending directions with messages and code, and letting the Rover figure out its own way. So just imagine yourself alone on another planet, having to wait 20 minutes to be told what to do next all of the time from a team of 20 back seat drivers. What a nightmare. But that’s why Curiosity is there and I’m not. Yea, that’s why.